[Via Satellite 12-10-13] Mezzo Live HD Asia will soon be available in the Asia-Pacific region for the first time, after a deal between Globecast, Measat Satellite Systems, and Mezzo to deliver the channel via the Measat 3 satellite. Globecast will receive the signal for Mezzo Live HD Asia at its technical operations center in Paris. There, it will be sent over fiber to the company’s Hong Kong teleport for uplink onto the Measat 3 platform. Mezzo Live HD Asia will provide around-the-clock classical music, jazz, and dance. The channel will broadcast some of the world’s most prestigious concerts, operas, jazz, and ballet. Broadcast in French, Mezzo Live HD Asia will be subtitled in 11 regional languages and adapted to the tastes of local markets in Asia to ensure it reaches the broadest audience across the region. 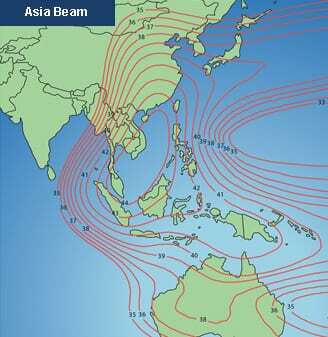 The Measat 3/3a platform at 91.5 degrees east covers 102 countries from Asia, Australia, the Middle East, Europe, and Africa. The platform currently leads HD channel distribution in Asia with 47 channels.